This boxed set features the wealthy Jackson brothers and their vast South Texas ranch. It includes the first three passionate reunion tales, Passion’s Child, Destiny’s Child, and Night Child of Ann Major’s Children of Destiny series, regularly priced at $4.99. After ten years working in Hong Kong as a journalist, Angeline Martin is called back to Australia when her twin sister Dany is injured in a car accident. Things are not as they seem. Detective Alexander’s need to solve the mystery behind a man’s death quickly becomes complicated by his growing feelings for Angie. Eli has loved Hollis for years. He thought he had a chance until Stede rode into town. Hollis fell hard for Stede, despite his troubled past. Now Stede is in trouble with the law again and Eli must pick up the broken pieces of Hollis’ life. Can he win her heart forever this time? For a chance at true freedom, a spy’s daughter dodges an arranged marriage to an earl’s illegitimate son and seeks the fortune left by her inscrutable father. When her quest draws a villain’s threat, the only person she can trust is the earl’s son, the war-weary soldier she doesn’t want to marry—but can’t seem to resist. When Lady Magdalen Suffield finds a letter ordering her best friend’s husband to commit murder, she flees into the woods. Pursued and injured, she collapses into the strong arms of Lord Cynric Woodrow, the local sheriff. Can Magdalen and Cyn stop the murder, or will the danger destroy far more than the love they seem destined to share? Former crusading knight Geoffrey de Lanceau kidnaps Lady Elizabeth Brackendale to exact revenge upon her father, but as forbidden love blooms between them, they discover deadly secrets that could destroy them both. Josephine Nailor must escape a desperate situation at home and joins a group of women traveling to Tarnation, Texas. Their hostess promises there are sufficient bachelors in the town to allow them their choice of a groom. That’s not at all what Josephine has in mind for her future. Pearl Parker must get her ragtag family away from Piper’s Hollow TN and accepts Drake Kincaid’s surprise proposal. Pearl is not the meek wife Drake envisioned and he soon learns she has a mind of her own. Humor, adventure, murder, kidnapping and arson invade the passion this couple shares. Cory’s sister is pregnant – and that’s NOT a good thing. But it did introduce him to Dr. Maddy Wright. When he’s injured in a bar fight he shouldn’t have even been in, will the doctor turn him away? Hired to steal back a prototype taken by the imperial armada, Senth Antonello retrieves it, but his brother is kidnapped to force Senth to surrender the device. Now he has to rescue his brother, outsmart the armada, and keep the item out of imperial hands. All doable, except for one small problem. He must do it in the company of NarrAy Jorlan, a genetically altered woman whose pheromones could enhance the mission or crumble it into dust with a single siren kiss. He’s a thief. She’s a soldier. Do opposites attract? Oh, mercy! It’s a shootout at high noon in these high-stakes romances, with lovers’ hearts on the line. Saddle up and ride along with these five couples as they try to outdraw Cupid. He rescued her from space pirates…but can he keep them both safe from the far greater evil stalking a deserted planet? Space travel without Kidnap & Ransom insurance? Not a good idea. University instructor and researcher Sara Bridges can’t afford it, so when pirates board her cruise liner, she’s taken captive. After Elizabeth needed a fresh start, she added a handsome hero to her bucket list. Life in 1802 London throbs with great expectations and unlimited potential in this steamy continuation of four couples and their pursuit of a happily ever after. Sparks fly when the independent Madeleine Smythe is rescued by enigmatic Frenchman, Jean-Luc Delacroix, while on the hunt to retrieve her mother’s stolen money. Jean-Luc would like to save Madeleine’s jaded-heart too, but he holds a secret that will only confirm what Madeleine already believes—love is just an illusion. A sweet historical romance set in 1885 in Debra Holland’s Montana Sky Kindle World. What’s “cooking” up in the Sweetwater Springs Café? 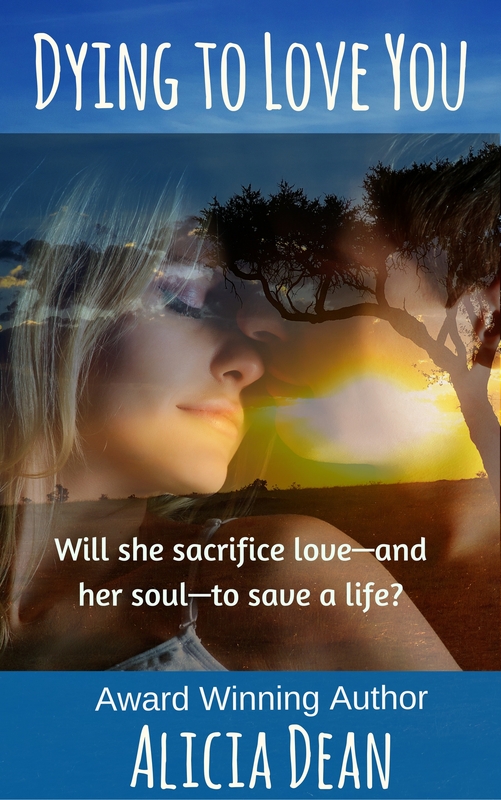 Danger, biscuits and love between a former soldier and the waitress he’s determined to help. Anson Jones must leave Oregon and travel to Morgan’s Crossing, Montana to catch a thief, putting a crinkle in his plans to marry. After sending word to the mail-order bride agency to stop his bride from coming to Oregon, he thinks all is well, until she shows up in Morgan’s Crossing! Misunderstandings, a loony villain, plenty of romance and a few surprises make for a fun romp. Sweet historical western set in 1887 Montana territory. Loretta Drennan leaves Chicago and goes in search of her brother, Johnny, and gets trapped in a the worst blizzard in history. Only with the help of Johnny’s ranching partner, Paul Slater, does she survive, but loses her heart. In high school, “Hot Rod” Harris dismissed Natalie Layton a as slacker whose saving grace was her family’s fortune. Now it’s payback time as Natalie becomes the key to the ambitious doctor’s success and everything his heart desires. “Profound, romantic, and funny”~Evonne, Amz Review. Can a wounded soul used to being alone find solace in the attentions from a cook who nurtures through her culinary creations? Appreciation for art takes on a new meaning when a challenge to unveil their tattoos escalates into a passionate encounter in the back of her tattoo booth at a national convention. But will Senna’s brazen attitude of going after what she wants backfire? The next King of Country needs inspiration. Burnt out actress Quinn needs a change. Neither expected what their encounter would bring into their lives, including a marriage of convenience and a secret bound to come out. An exciting tale of love and passion, but not all at once! The Company is taken over, and they have to work late. Mary is the prime initiator of what happens next but only after some time, but she does enough to keep William interested, when his next job is at Hyderabad in Pakistan. Mary visits William which effectively seals his fate. But who is Percy, and what is Samantha? He’s always in control and committed to flying. She’s fought for every break she gets. Layla and Ethan are both in the US Navy. They meet and fall for each other before either realizes their relationship is prohibited by military law. The two must decide whether to give up the perfect relationship or risk their military careers and pray no one finds out. Nate Coltrane doesn’t think Jessie Adams has the guts to return home and face him, but when she does, he’s afraid of losing everything he loves…for the second time in his life.